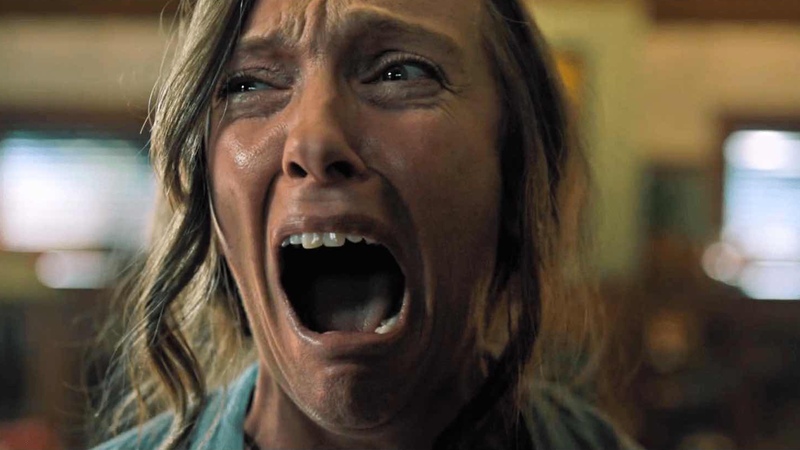 Writer-director Ari Aster’s brutal debut feature Hereditary elevates domestic despair to terrifying new heights. Following the death of her secretive mother, miniature-model artist Annie Graham (Toni Collette) struggles to mourn due to her turbulent relationship with the family matriarch. Meanwhile, laid-back husband Steve (Gabriel Byrne) calmly supports his family and teenage son Peter (Alex Wolff) continues to drift by in an adolescent haze. 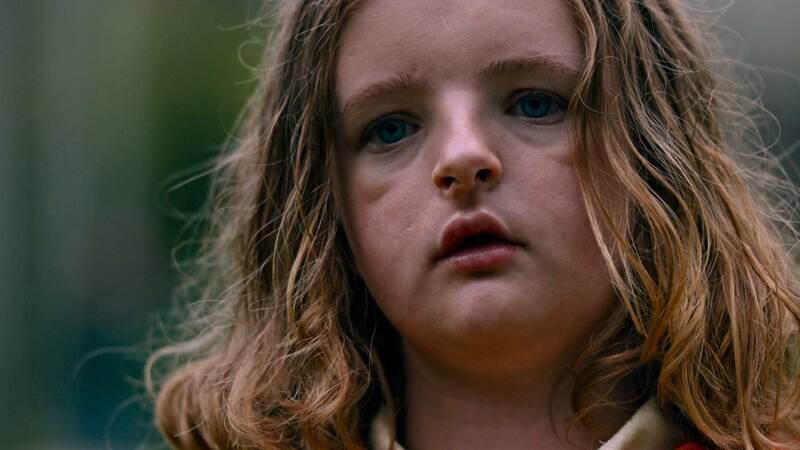 Withdrawn younger daughter Charlie (Milly Shapiro) is the most grief-stricken and sinks further into herself as she yearns for her late grandmother. After a revealing session at a bereavement support group attended by Annie, we discover the extent of her deep-rooted guilt. A history of mental illness has plagued her family and contributed to her strained relationship with her mother. As one heartache leads to more intolerable agony, the film’s ominous title becomes clearer. The tormented Graham family have inherited demons they can not outrun and similar to Annie’s crafted miniature figures, they’re simply manipulated pawns destined for only one fate. Cemented by cinematographer Pawel Pogorzelski’s opening shot that closes in on a miniature room that expands and leads into Graham family life. It’s one of many strikingly framed sequences within Hereditary, with the most disturbing capturing the aftermath of a horrific accident. With an uncompromising shot that endlessly lingers, unbearably accompanied by a sickening silence. As I wallowed in the devastation, my mind raced in an attempt to find a hypothetical plan of action and when bereft of one, the true horror of the sequence sank in. As with 2018’s A Quiet Place, sound design is utilised to emphasise deafening stillness and is paired with a foreboding score. Here, silence is disrupted by an innocent tongue click, an unlikely sound to be truly unsettling. While Colin Stetson’s score consisting of low-key hums and discreet droning is subtly disturbing in a way that’s difficult to define. Differing from A Quiet Place and far more in line with fellow A24 horror releases The Witch and It Comes at Night. Hereditary has a considerably darker tone combined with a bold ending that may be less satisfying for broader audiences but will be relished by avid horror fans. Hereditary falls just slightly short of its taut independent predecessors by having a few too many (and at times clichéd) plates spinning at once. With seances, possession and cults to name a few, the film becomes somewhat of a pick “n” mix of horror tropes but somehow remarkably doesn’t come completely off the rails. A theme that ran through Jennifer Kent’s chilling The Babadook, processing grief also materialises within Annie’s work as she recreates painful scenes as an outsider looking in, detaching herself from harsh realities. Collette embodies anguish to agonising effect and alongside her life, she slowly unravels throughout the film, powerless to the genetic darkness taking hold of her. Wolff is equally heartbreaking as he transforms from a typical distant teenager and reverts back to a helpless child. With an otherworldly quality and an intense gaze, Shapiro’s impressive performance felt reminiscent of Sissy Spacek’s turn as the titular troubled teen in Carrie. While Hereditary occasionally loses its way, its committed cast and bursts of pure terror make it a gloriously frightening debut for Ari Aster, whose striking execution signals a rising talent.